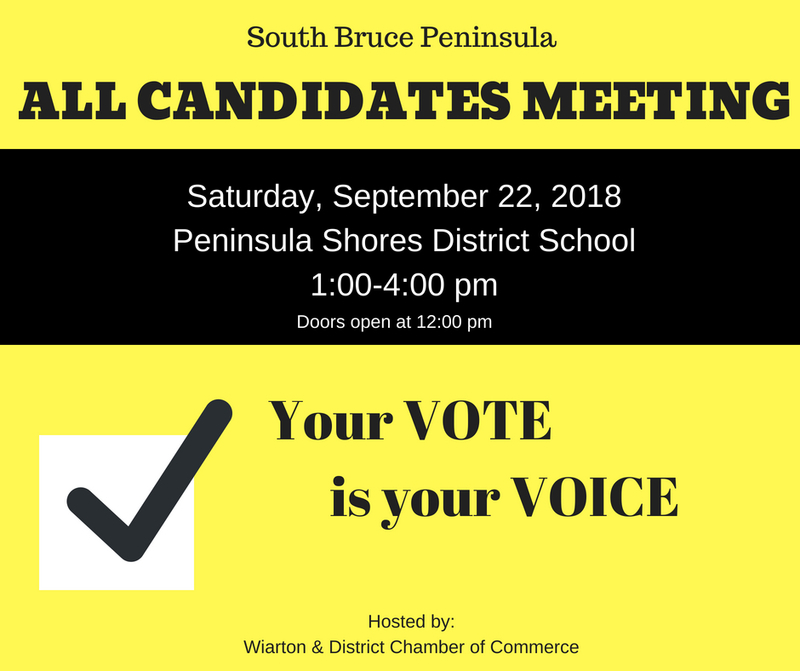 South Bruce Peninsula, All Candidates Meeting.  The 2018 municipal elections in Ontario will be held on October 22, 2018. Voters in the province of Ontario will elect mayors, councilors, school board trustees and all other elected officials in all of the province's municipalities. 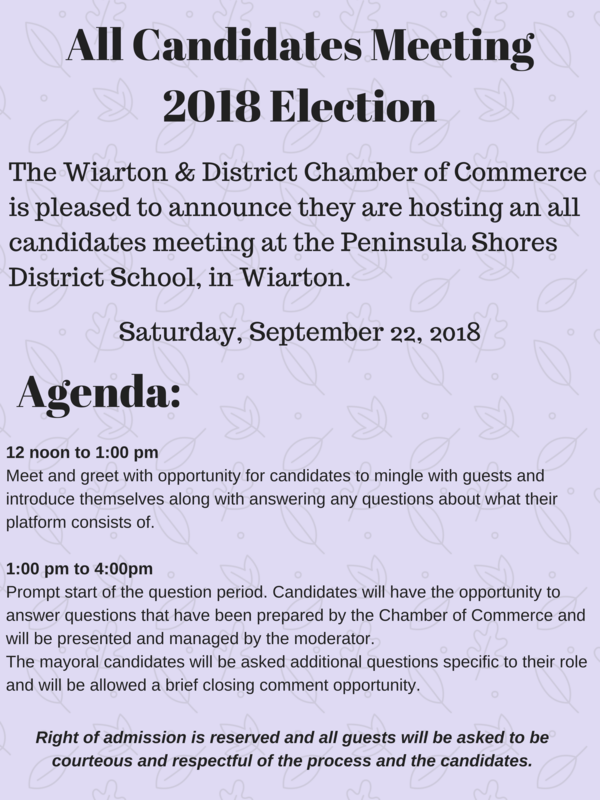 ALL candidates for Mayor, Deputy Mayor, and Council have been invited. This event is open to all residents of TSBP.